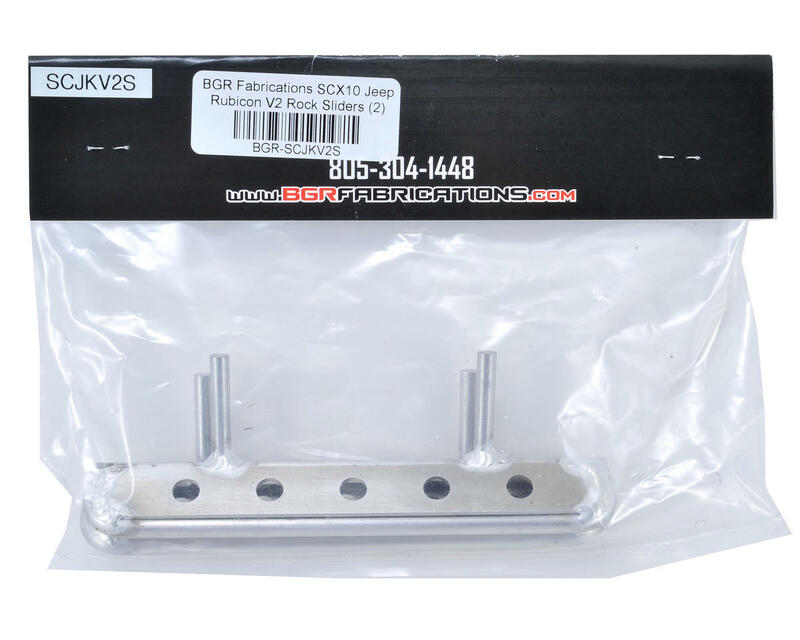 These are the BGR Fabrications style V2 Rock Sliders for the Axial SCX10 Jeep Rubicon. These sliders are handmade in the U.S.A. from solid 6061-T6 aluminum alloy tube and TIG welded for superior fit, finish and strength. 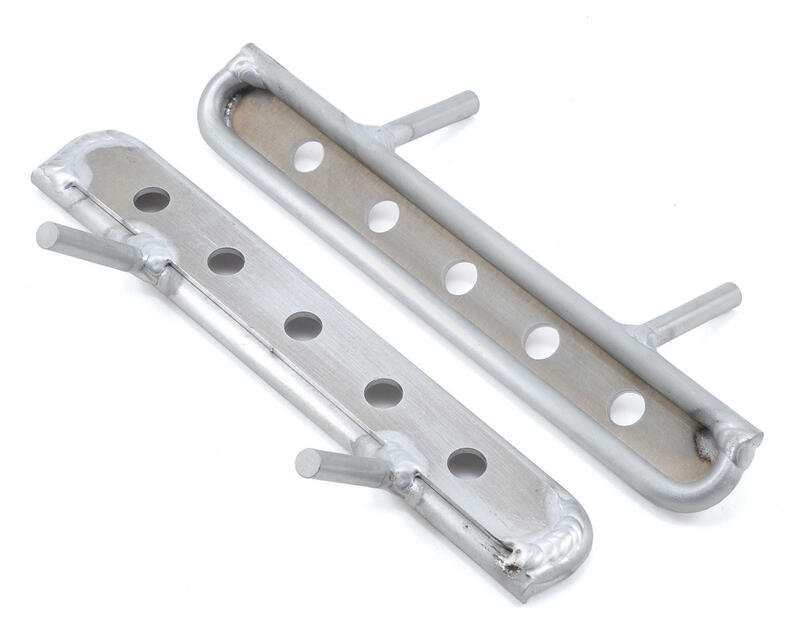 These sliders are compatible with the stock Axial mounts. Recommended for use with the SCX10 Jeep Rubicon and other long wheelbase SCX10's; but not shorter wheelbase models. 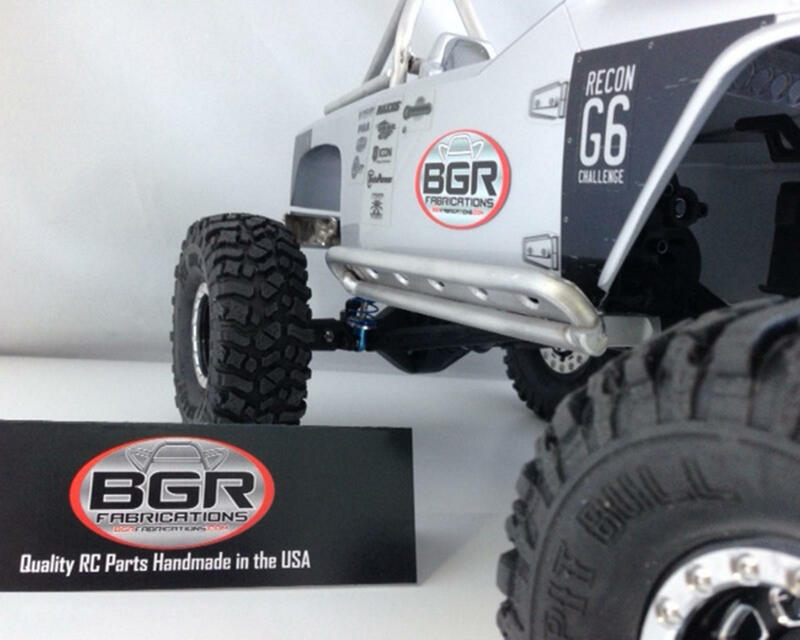 BGR offers SCX10 sliders in various styles. All offer the same aluminum construction and TIG welding. Note: These sliders are not pre-drilled for installation. You will need to drill and tap your own holes, at your desired length.